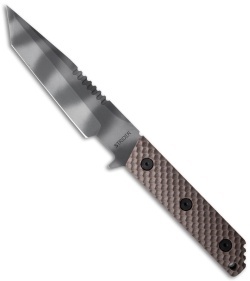 In the middle-weight category of Strider fixed blades, the VB model strikes a great balance of power and practicality. 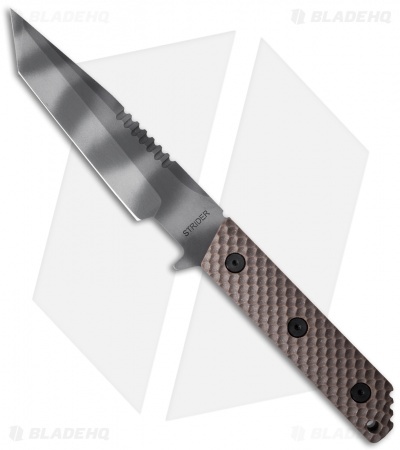 This tanto knife has a CPM-S30V steel blade with full-tang construction and coyote brown Gunner Grip G-10 scales. Touting 1/4" thick steel, the VB isn't likely to leave you in a bind. 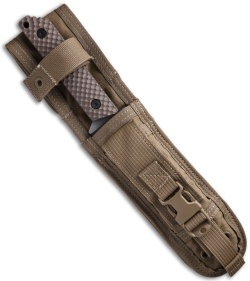 It's a tactical oriented knife and includes a heavy duty nylon sheath with a protective blade insert.